The reinvented MTM Special Ops Predator II Watch sets the standard by which all others will be judged. Tritium-Gas Filled Tubes illuminate the hour and minute hands without the need for an external light source for up to 25 years. Approved by the US NRC. Swiss quartz chronograph movement for precision timing with an automatic date window. Solid titanium or 316L stainless steel case and band with a unidirectional ratcheting bezel and locked screw down crown. 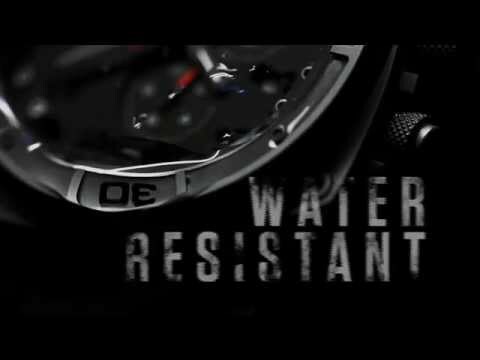 Let the MTM Predator Watch provide a bold and strong statement to your lifestyle. Its ultimate strength and high-end finish exemplifies true watchmaking quality. Whether in stainless steel or titanium, the MTM Predator II is built for action and built to last. Select or customize and purchase your Predator II watch today.